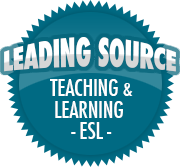 What Do You Look For in a Teaching Blog?- A Poll | So, You Think You Can Teach ESL? This is a short reflective and improvement piece. I want to ask you, my dear readers, what kinds of things you look for in a teaching blog. Please answer the poll below, or post your own suggestion in the comments! I appreciate any advice or constructive criticism you can give. I seek to continually improve the quality content and style of my blog. I want to improve this blog as I improve myself!